Israeli bulldozers on Saturday morning leveled Palestinian-owned lands located between the illegal settlements of Gush Etzion and Alon Shvut, south of Bethlehem. Representative of the National Committee against the Wall and Settlement Hasan Brijiyyeh said that the bulldozers razed vast tracts of lands in Artas village in preparation for a project to build 1,700 settlement units in the area over the next five years. Israel has stepped up its attacks on the Palestinian lands adjacent to Gush Etzion settlement bloc. A few months ago, 200 Palestinian-owned trees were destroyed. 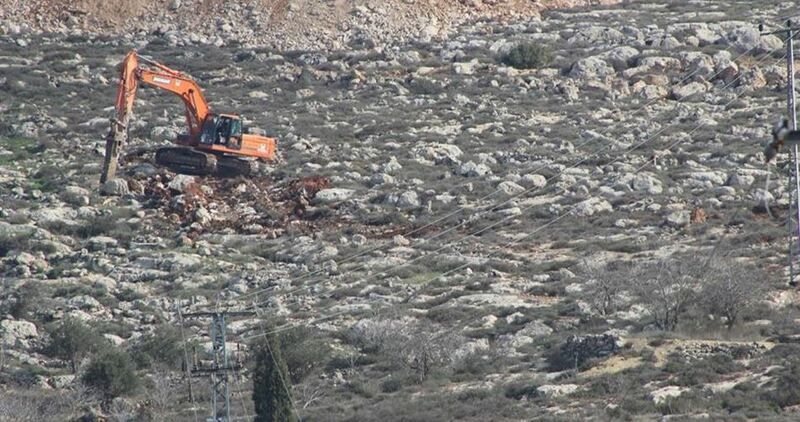 Israel further has banned all Palestinian construction activities in the nearby Khirbet Iskaria.